The Samsung Galaxy S10 is going to be one of the best and biggest smartphone launches of 2019. 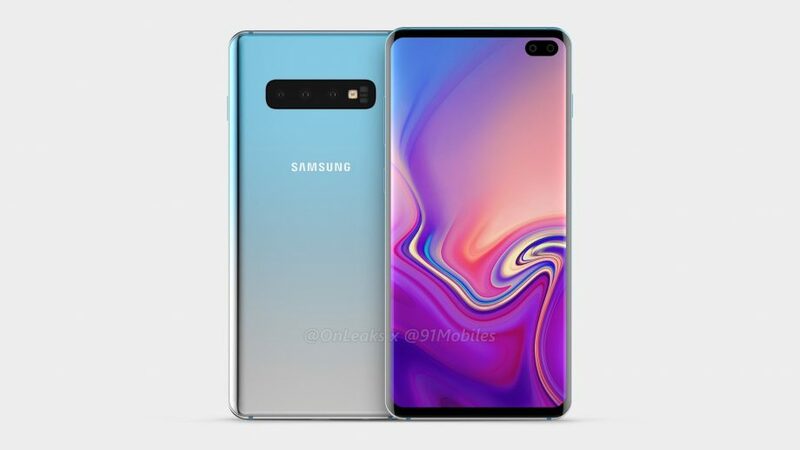 Samsung Galaxy S10 will be a flagship device and will come with features like 6.1-inch QHD Super AMOLED display, Android Pie, Exynos 9820 SOC. Samsung Galaxy S10 specs are going to be mind-boggling. There are some rumors that Samsung Galaxy S10 can come up with a unique design approach. Galaxy S10 is going to come in two variants and one of them will be a full-fledged 5G variant. Galaxy S10 will have AI-powered Exynos 9820 chipset. It will come with IP68 certification and reinvented design. It can have under display Ultrasonic fingerprint sensor. It will launch in both 4G and 5G variants. 93% screen to body ratio. Galaxy S10 will have a very elegant design approach. It will come with a punch hole design in the display for the front-facing camera. Galaxy S10 phone will come in 6.1 inches, 6.4 inches and 6.7 inches screen sizes. As we all know, AMOLED displays are well known for their immersive experience and Samsung will continue to use them in their premium phone series. There are some rumors that Samsung is working on the ultrasonic fingerprint sensor and can use it in S10. Reports claim that Samsung will use three or four rear cameras set up for Samsung Galaxy S10 along with that there will be a 3D sensor for Augmented Reality (AR). On the back side, Rear cameras set-up will come with12MP(f/1.5-f/2.4variable aperture lens), 16MP camera with an f/1.9 aperture and the 13MP lens will have an f/2.4 aperture. According to sources, the Galaxy S10 plus will have dual front-facing cameras. As Samsung has unveiled its Exynos 9820 chipset, it is likely to power the Galaxy S10. Exynos 9820 is an octa-core chipset built on 8nm technology. 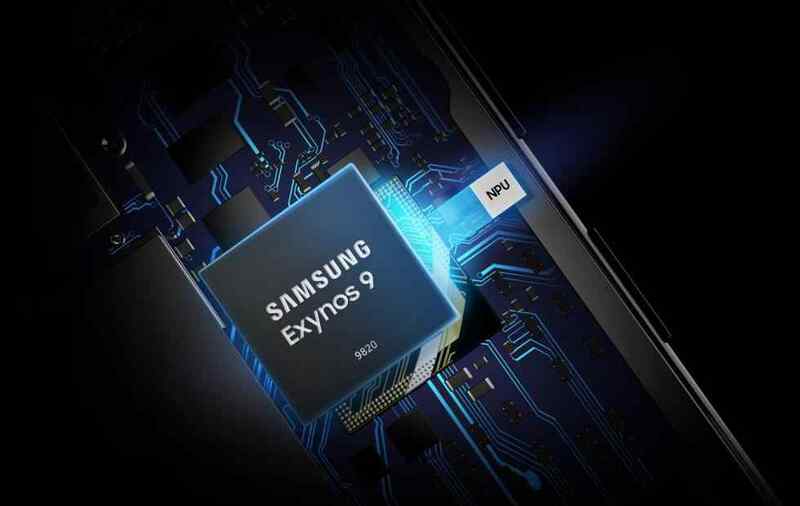 This makes it smaller and efficient than its predecessor Exynos 9810 which is built on 10nm technology. The Exynos 9820 offers up to 20% better single core performance, up to 40% better power efficiency, and up to 15% better multi-core performance than the Exynos 9810 Soc. There is an even bigger benefit for gamers with the GPU offering up to 40% better performance and up to 35% more power efficiency. The Exynos 9820 comes with an integrated Neural Processing Unit (NPU) which allows it to perform AI related tasks 7-times more faster than Exynos 9810. Reports claim that download speeds on Exynos 9820 can reach up to 2Gbps but it does not support 5G. So for the 5G variant of Galaxy S10, Samsung can use Snapdragon 855 processor. 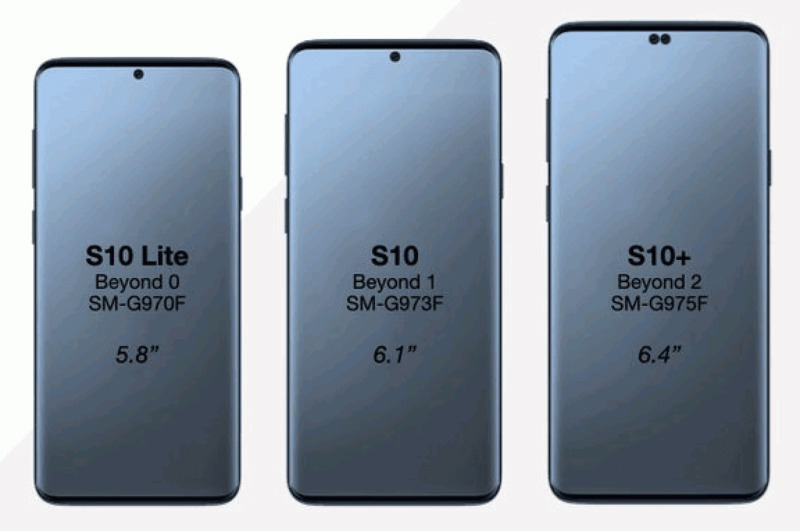 According to the Gizmodo report, the galaxy S10 Lite will start at £669, the galaxy S10 will start at £799 and the galaxy S10+ will start at £899. Samsung can launch Galaxy S10 in the month of February or in MWC 2019. 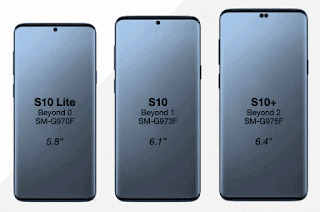 Samsung Galaxy S10 Specifications are not fully officially confirmed, full details will be revealed on launch date. Samsung Galaxy S10 can be the best premium phone coming from the Korean smartphone giant. We hope our post "Samsung galaxy S10 specs" gave you an idea about features of Galaxy S10. UniPrimeTech is a platform for technology enthusiasts. We always believe in quality and we are committed to delivering highly enriched Tech content. We cover Technology, Mobile Apps, Inventions and Gadget news.